Google's protection system detected less than 70 to 80 percent of the infected apps in the test. 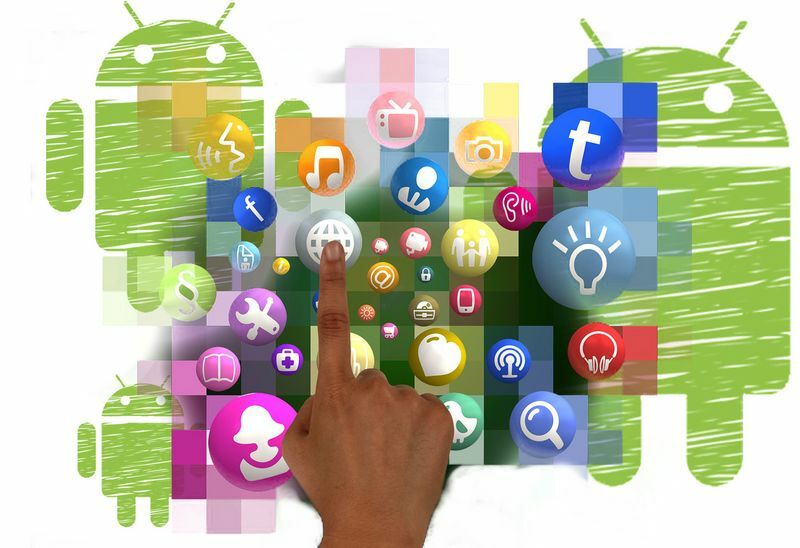 Billions of Android users use this system sentry without being aware of its weaknesses. 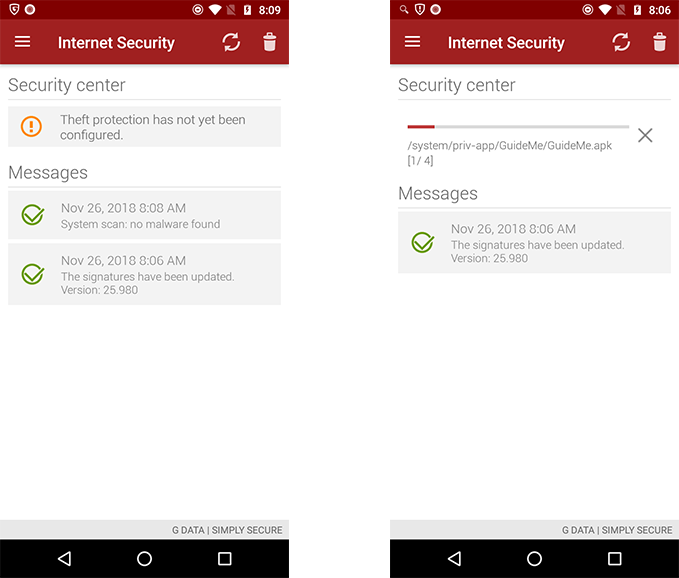 The current test indicates that there are security apps offering 100% detection! Would-be security experts repeatedly claim that Google does a good job of protecting Android systems. After all, they contend, the app store with its 2.6 million apps is scanned continuously. 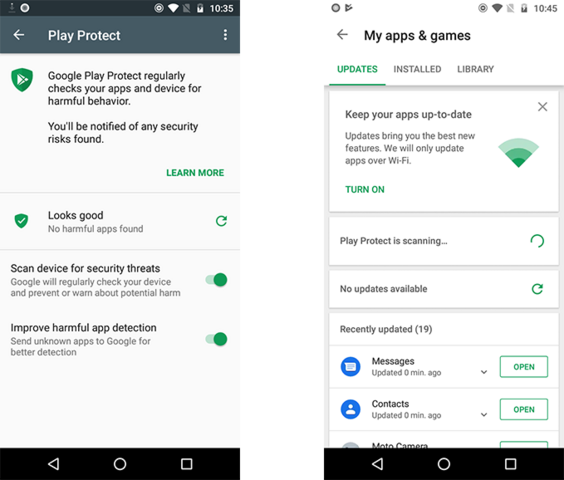 In a second step, Google uses Play Protect to constantly check the apps installed on devices. But this security is deceptive if Play Protect does not even detect 70 to 80 percent of the infected 6,500 apps, as in this test. Other manufacturers of security apps for Android are a testimony to the fact that better results are possible. 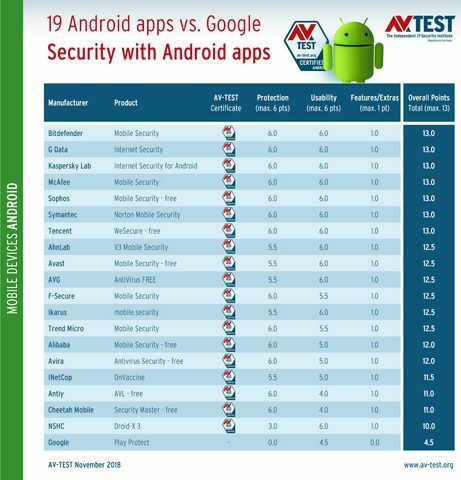 In this test, AV-TEST evaluated 19 apps and Google Play Protect in terms of their protection, usability and extra features. Android 8.0 was used as the platform for the test. The maximum achievable point score for an app in the test is 13. This consists of up to 6 points for the protection function, up to 6 points for usability and a maximum of one point for security-relevant extra features. The results speak for themselves: The lab awarded the maximum 13 points seven times to security apps from Bitdefender, G Data, Kaspersky Lab, McAfee, Sophos, Symantec and Tencent. Following close behind at 12.5 points are the 6 apps from AhnLab, Avast, AVG, F-Secure, Ikarus and Trend Micro. The remaining security apps earned 12 to 10 points. Google Play Protect reached only 4.5 out of possible 13 points. As already mentioned, all apps in the test were tested for protection, usability and extras. 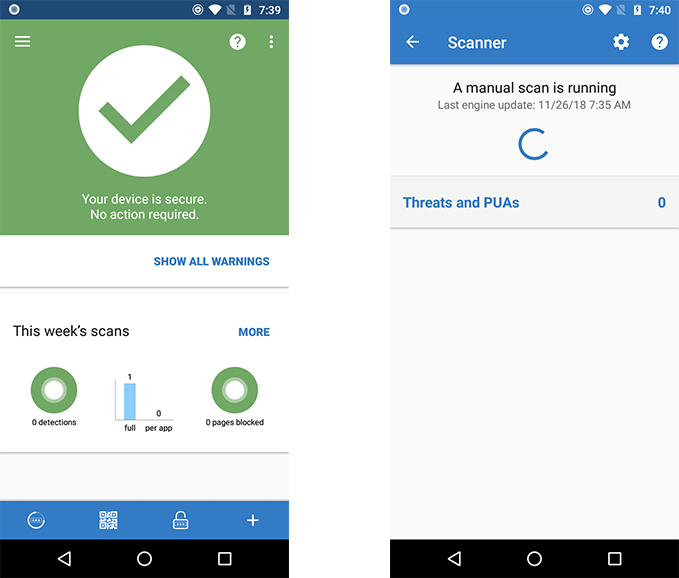 In the first test for protection, the security tools for Android were required to scan, detect and delete a total of over 6,500 infected apps. In the initial test phase, the real world test, the lab used more than 3,300 apps with malware that had been freshly harvested from the Internet. They were no more than 24 hours old. This was followed by another package, the reference set, with over 3,200 malware apps already up to 4 weeks old. This test is designed to validate whether the apps, in addition to thwarting the latest malware samples, are also capable of detecting and fending off attackers that are already known. In both tests, a total of 7 apps each detected 100 percent of all attackers. They are from Antiy, Bitdefender, Cheetah Mobile, G Data, Sophos, Symantec and Trend Micro. Alibaba and Kaspersky Lab detected 99.9 percent in the real world test and 100 percent in the reference set. This was followed by McAfee, Tencent, Avira and F-Secure with what was still a good score of 99.8 to 99.6 percent in the real world test and 100 percent with the reference set. The detection rate for the last 6 apps was somewhat lower, yet it was usually still in ranges above 99 percent. Only the app from NSHC delivered lower performance. The results of Google Play Protect: in the real-world test, 66.9 percent and going up against the reference set, 79.6 percent. The reference set score is particularly sobering, as the contaminated apps have already been in circulation for up to 4 weeks. The laboratory has summarized various test criteria points under the term usability. In this area, for example, a crosscheck is carried out with over 3,200 clean apps to determine the false positive rate. In addition, the laboratory looks closely at the system load of the protective apps and the resulting battery consumption. Moreover, it examines whether the system bodyguards constantly send or receive data in the background, thus consuming the data volume. The apps of Alibaba, Antiy, Cheetah Mobile, F-Secure, Google, INetCop and Trend Micro caused one to five false alarms. This is not dramatic, but it is annoying to the user. With respect to system load, battery consumption and data consumption, the testers were very satisfied with all apps. Only the app from Avira stood out with a bit too much data traffic in the background. That led to a slight point deduction. In the last test category, the testers look at whether the apps have safety-relevant additional features and extras. However, the laboratory awards a maximum of one point for this area. First, the testers checked whether the apps are equipped with the traditional anti-theft functions, allowing you to locate a smartphone, lock it or remotely delete its data. These functions are found in all the apps except for Antiy, INetCop, NSHC and Tencent. With regard to safe browsing, the apps from INetCop and NSHC drew blanks. The security apps partly have many other features in their quiver, such as parental control functions, backup tools, call blockers or SMS filters and encryption functions. Some also include network monitors or QR code scanners. It should be mentioned that, on some apps, the special functions can only be used in the premium version. However, they often allow a free trial for 15 or 30 days. 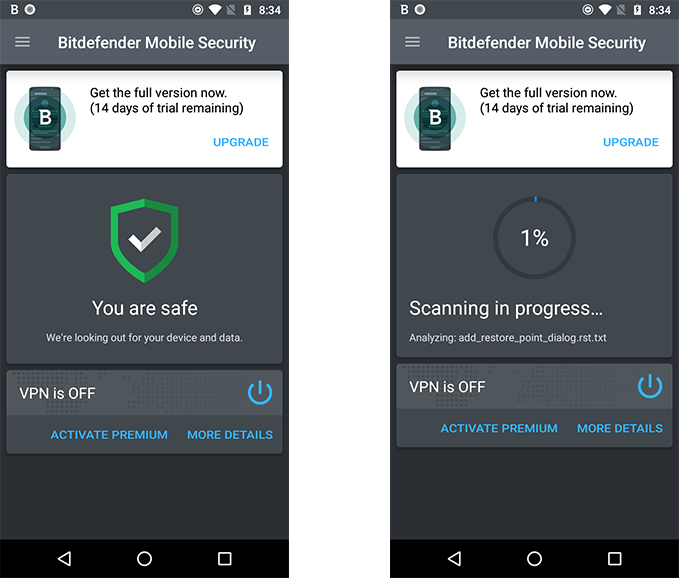 For the almost daily reports on new infected Android apps, good protection is a must on a smartphone or tablet. 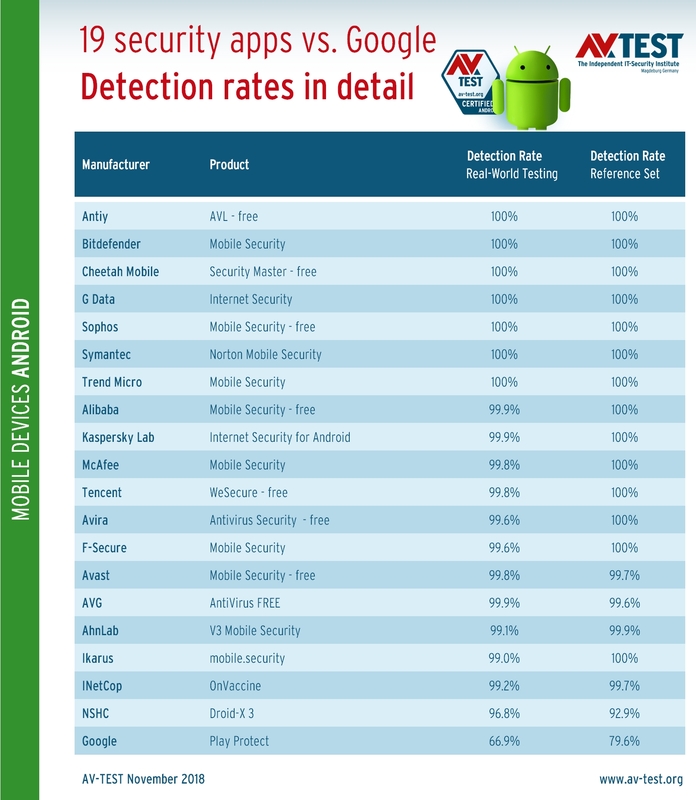 The test offers a vast selection of reliable security apps. With the maximum 13 points, the apps from Bitdefender, G Data, Kaspersky Lab, McAfee, Sophos, Symantec and Tencent made an impressive showing. It is worth mentioning that the apps from Sophos and Tencent can be used for free. Following with an excellent score of 12.5 points are the 6 apps from AhnLab, Avast, AVG, F-Secure, Ikarus and Trend Micro. If the focus is only on the protection performance of an app and the maximum achievable six points, then there are even 13 apps from the test that can be recommended. 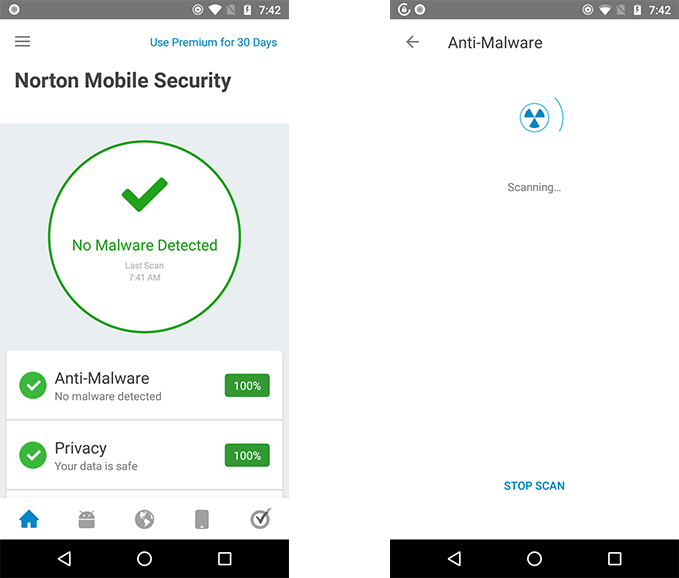 The fact that one should not completely rely on Google Play Protect is seen in the current detection rates and the total point score. In terms of detection, Google only reaches 66.9 and 79.6% respectively. That is why the lab only awards a total of 4.5 points. Results like these do not promote a sense of security.